Calling All Gudetama Lovers, Don't Miss The :CHOCOOLATE x Gudetama Collection! Calling All Gudetama Lovers, Don’t Miss The :CHOCOOLATE x Gudetama Collection! “Gudetamatama Gudetamatama Gudegudegudetama…”. You’re right! More Gudetama goodies will be available in our sunny island. 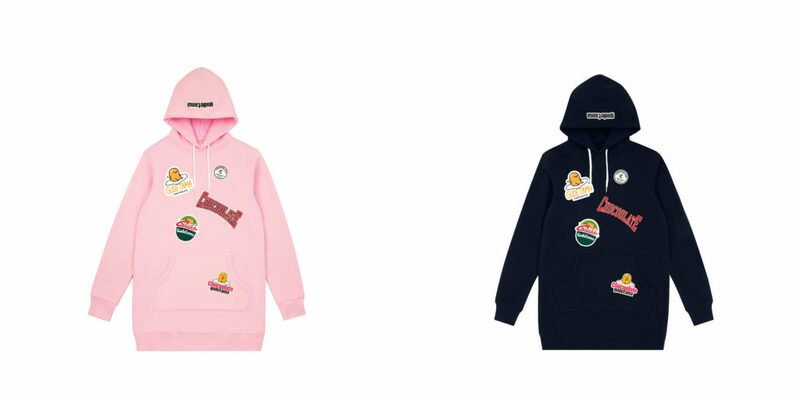 :CHOCOOLATE is partnering with Gudetama to present its first collaborative collection of 2019 which will include T-shirts, sweatshirts, hoodies, hoodie dresses and accessories. The main palette consists of navy, pink, white, grey and of course, Gudetama’s signature colour, yellow! The adorable lazy egg character is featured on a string of food-themed prints specially designed for this collection. Catch it lazing around on the different items! For fans of graphic tees, don’t miss out on these white, navy blue and pink tees of Gudetama taking a nap on the packaging of a Nutella jar. When you’re too lazy to put together an outfit in the morning and just want to laze in bed for five more minutes, throw on a sweatshirt, hoodie or a hoodie dress and you’re good to go with Gudetama, your lazy partner in crime. With the accessories, you can safekeep your coins with Gudetama, wrap yourself like an egg roll with the blanket and carry a jar of Nutella with you wherever you go. In addition to all of that, get a :CHOCOOLATE x Gudetama Collection table lamp for free with a single net purchase of $200 or above on two or more :CHOCOOLATE selected items, including at least one item from :CHOCOOLATE x Gudetama Collection. While stocks last! Available from 1 February 2019 at Bugis Junction and orchardgateway i.t Labels outlets.